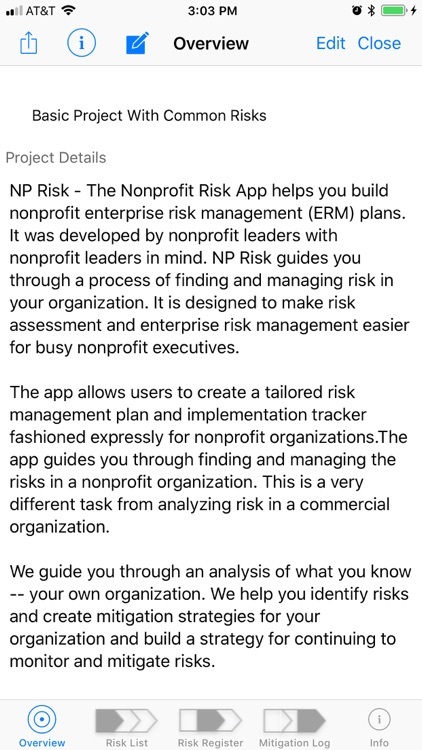 NP Risk—The Nonprofit Risk App introduces you to enterprise risk management for nonprofits and NGOs. 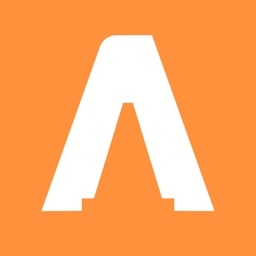 It was developed by nonprofit leaders with nonprofit leaders in mind. 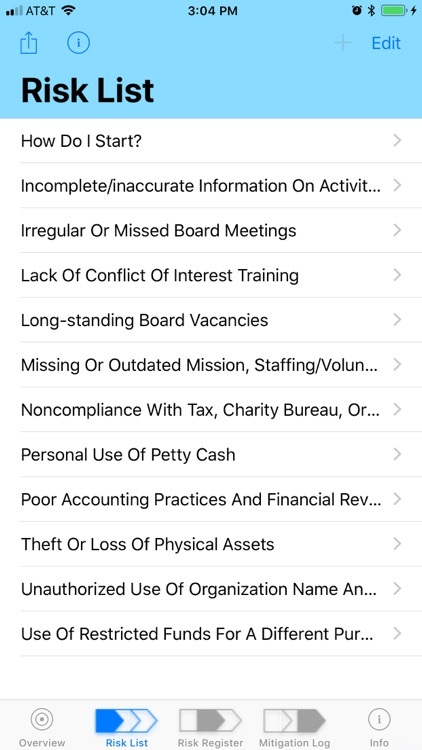 NP Risk guides you through a process of finding and managing risk in your nonprofit organization. 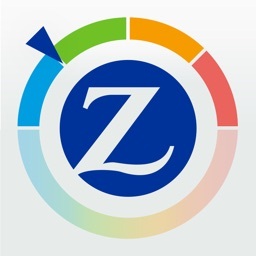 It is designed to make risk assessment and enterprise risk management easier for busy nonprofit executives. 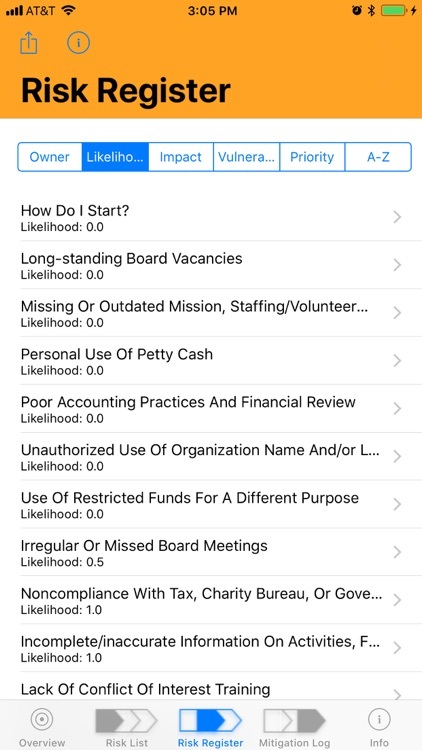 The app allows you to create a tailored risk management plan and implementation tracker fashioned expressly for your organization. It can help you understand your vulnerabilities, set up a risk management and mitigation program, and build a successful team. 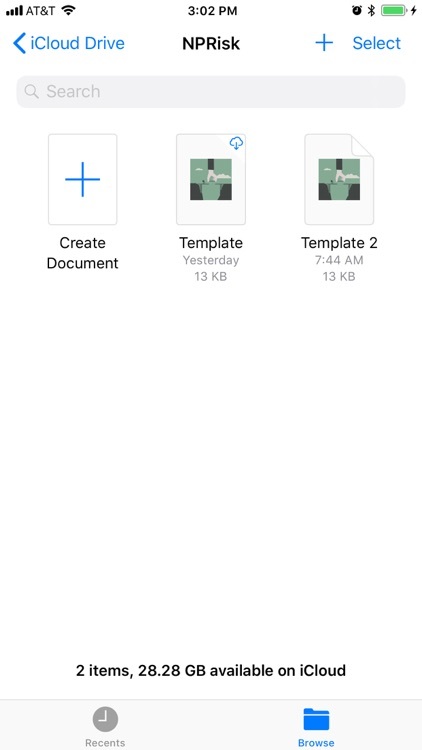 If iCloud Drive is enabled, you'll be able to save and share your project information with other people on your team. We guide you through an analysis of what you know—your own organization. 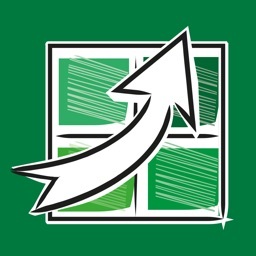 We help you identify risks and create mitigation strategies for your organization and build a strategy for continuing to monitor and mitigate risks. In evaluating risk for nonprofits, one method is to compare your organization to other organizations. The problem with this approach is that it's not clear to what extent organizations are comparable, and the time spent analyzing the degree to which organizations and their operations are comparable can be better spent getting to work on your own organization. To start with, you need to assemble a team and make sure that you have the support of the key players—management, board, staff, and community. From the beginning, make certain that in addition to support, you have clear and easy to use communication tools. Without modern communication and data sharing techniques, your project and your meetings can quickly dissolve into cutting and pasting (literally!) versions of versions of documents. Do you really want to devote your time to figuring out if the relevant spreadsheet is the one with the blue background or the green background? Once you have the support and infrastructure set up, NP Risk can help you with each step of the process. Because NP Risk lets you move back and forth from one task to another and share data easily as you gain more information and perspective on your organization and its risks, NP Risk helps you every step of the way. 1. Identify risks and assess their likelihood and potential causes. This is your RISK LIST. 2. For each risk, add subjective estimates of its likelihood, the damage it can do, and how vulnerable your organization is. This turns your Risk List into a RISK REGISTER. 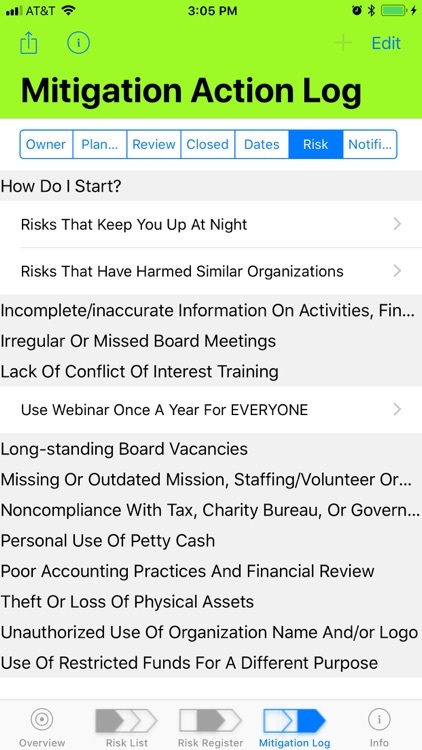 With all of this information, assign a priority to each risk. 3. For each risk, create MITIGATION ACTIONs. These provide details of what you will do, who will do it, and when it will be done. 4. Then, implement your mitigation actions and keep track of the risks and mitigation actions in a MITIGATION LOG. Depending on the size of your organization, this can take a day or two or up to three years. (Projects for nonprofit risk management that last longer than three years commonly fail.) You may need to prune your Risk List to get to a manageable project. You can always come back to a follow-on project—and you should. 1. Create your RISK LIST. 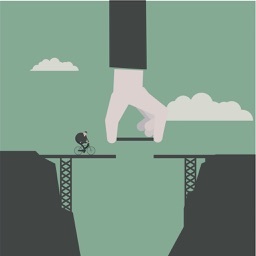 Start with a single risk—"We don't know what our risks are." 2. 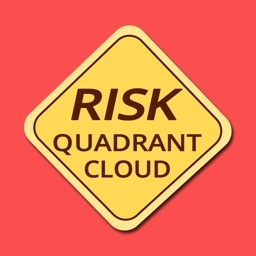 Add the likelihood and damage that this risk could cause to start your RISK REGISTER. What do you think could be the consequences of not knowing what your risks are? 3. Add a MITIGATION ACTION. 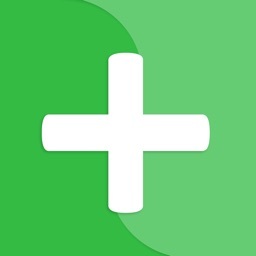 That's easy: use this app! 4. Follow up on results in your MITIGATION LOG. Set goals, deliverables, and a schedule. You've started your risk analysis and mitigation project. Congratulations! Gail Nayowith, Principal, 1digit LLC, has led three nonprofits and now works with nonprofits, government and philanthropy to build solutions that increase performance, impact, and reach. Jesse Feiler is a consultant , author, and developer specializing in apps and databases for small businesses and nonprofits.